This is a guest post from Maggie Scott, founder of Parachuute – a carpooling app that enables to you choose who is in your trusted network by selecting the people you trust from your phone list. The #StocklandStartups and Maggie are almost three months into the Stockland Accelerator program. Read more about what she’s learned so far. Sometimes good things come from very unexpected places. Late last year felt like I was in a rut. I had become a solo co-founder after my business partner decided it was no longer feasible to stay on in the business. thinking my idea wasn’t good enough or that I might not have the skills, stamina or courage to bring it all together. On top of that, my existing technology and support model meant that any change I wanted to make, wasn’t a priority, took too long and was costly. I had applied to two other accelerators, unsuccessfully, a few months prior when the message about the Stockland Accelerator program was announced. Initially, it didn’t occur to me to apply given I don’t think of myself as ‘proptech’ but I ended up reading a bit more about the program and decided there was a connection as I work with communities. I made it through to Bootcamp – a two week program that the top 40 startups were invited to – from which the final group of founders would be selected to create the #StocklandStartups cohort. Bootcamp was an eye-opener in terms of the pace founders were expected to work at (e.g. complete 40 customer interviews) and what attributes the ideal founders should have for a program like this. The final selection of the #StocklandStartups from the Bootcamp consisted of two pitch days where founders shared their vision and their progress to a large and varied selection panel. 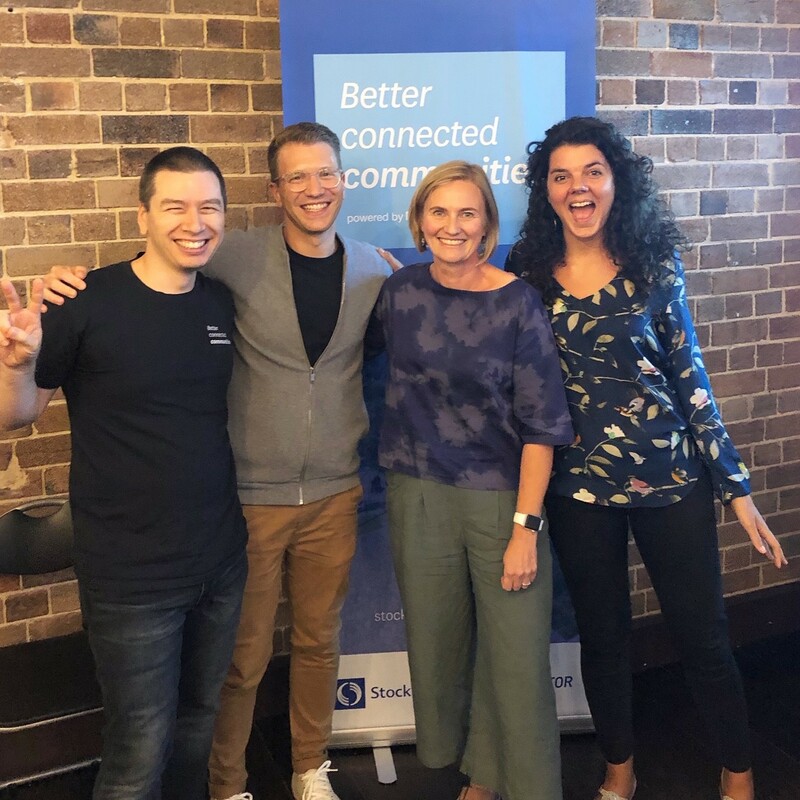 Being Melbourne based, I had to fly up to Sydney for two in-person days of the Bootcamp and then again for the final pitch. The day of my pitch was the day when Sydney received record amounts of rain meaning many flights couldn’t get into or out of Sydney. My flight was cancelled so I ended up pitching via video conference from the airport. A long way from an ideal environment. I felt flat after the pitch and headed back home fully expecting not to get through. Later that night, I heard that I had been picked and my reaction was both elation and dread with the reality of what I had signed up to beginning to sink in. Maggie Scott founder of Parachuute with the Stockland Accelerator team. I am now three months into the six-month program. Depending on the day of the week, things are either great or truly awful in terms of how I feel about my business and myself as a founder. Many of them are obvious but it’s good to be reminded during the startup process. 1. You can never have too many supporters. The BlueChilli team whose job it is to help me and the other startups in the group. Sometimes it feels like I have a group of elves completing things for me while I’m not paying attention. Website rebuild – done. Fix up the bugs in AWS / certificates – done. Business cards – done. This is a BIG team who go out of their way to provide advice, prop you up, crack the whip and connect you. 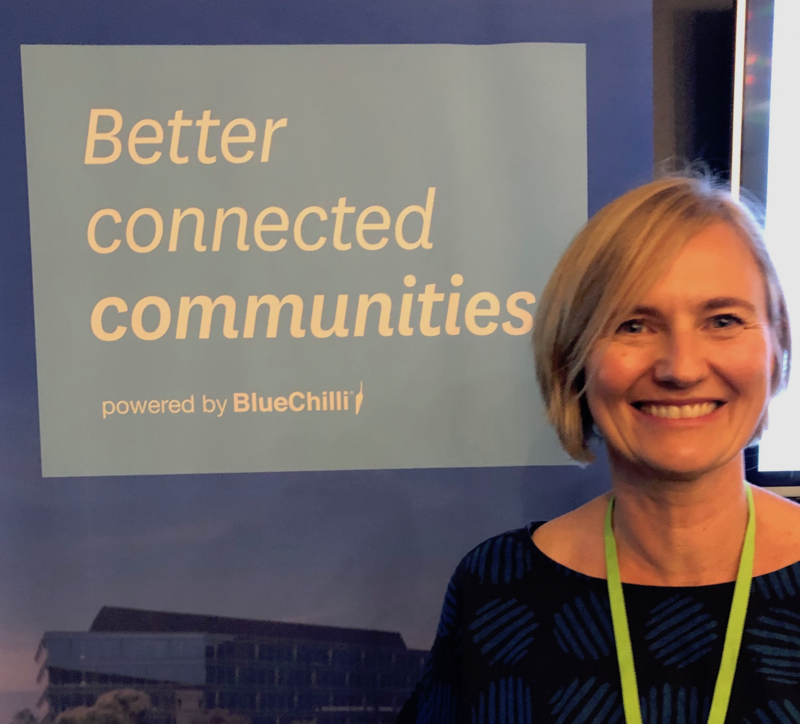 The wider BlueChilli and Stockland network of advisors and supports who are willing to listen and offer help where they can. My cohort of #StocklandStartups who are a wonderfully diverse and inspirational group. We are from all around Australia, have different businesses and skill sets, have startups doing completely different things but still find the time to connect and support each other. 2. Just shut up and listen. The Stockland Accelerator has forced me to undertake a structured research program including recording interviews and then cross referencing all the insights. Listening to my interviews made me realise just how much I talk rather than let others tell me about their circumstances. When I gave people space, more interesting information about them and their situation would emerge. Also getting other people to conduct interviews on my behalf was a great way to allow others to explore the ‘customer problem’ and help validate my thinking. 3. Be kind to yourself, run your own race and always look for ways to help others. The ‘hustle’ means you are always seeing media about the amazing growth and successes people have had. Being part of a group who are all working hard to build an early-stage startup provides a more realistic reference point, and therefore some comfort on days when everything can feel too hard. So three months in I am still happy that I applied and took the plunge. Immersing myself and others into the business gives confidence that you are tackling problems in a systematic way and improving the chance that you can make a success of the initial concept. This was a guest post from #StocklandStartup founder, Maggie Scott – the founder of Parachuute.